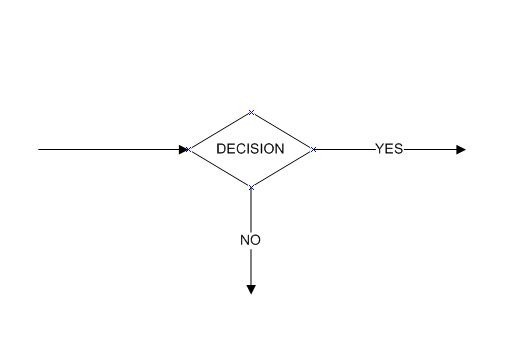 Most of us have seen a process map that contains a decision point. In fact that’s one of the main reasons to draw a map in the first place, otherwise an ordered list will do the trick for most instructions. 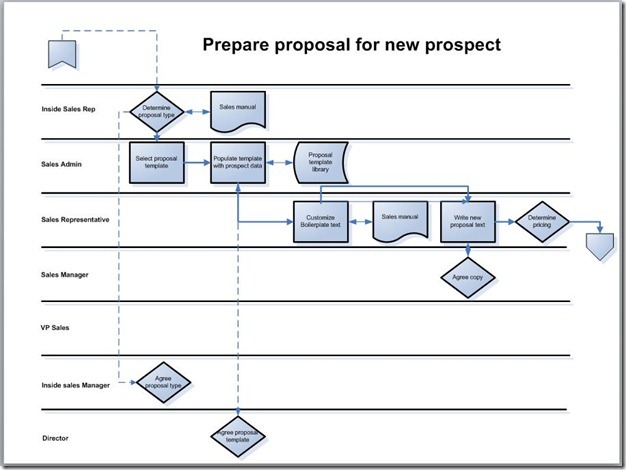 Swimlane diagrams make it even more complex, with decision diamonds moving to new vertical and horizontal positions. 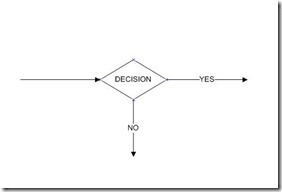 Swimlanes and decision diamonds used in a flowchart.